As the Sabarimala temple is set to open its door for a special prayer on November 5, Pathanamthitta district collector has decided to impose Section 144 in Sannidhanam, Pamba, Nilakkal, and Elavunkal from November 4-6. To avoid any untoward situation, police presence will be increased in Sannidhanam. The Sabarimala Temple and surrounding areas witnessed a string of protests last month over the Supreme Court's decision to quash restrictions on the entry of women between the ages of 10 and 50 into the holy shrine. As many as 3,505 protestors have been arrested so far in connection with the violence that broke out in the state, while around 529 cases have been registered across the state. 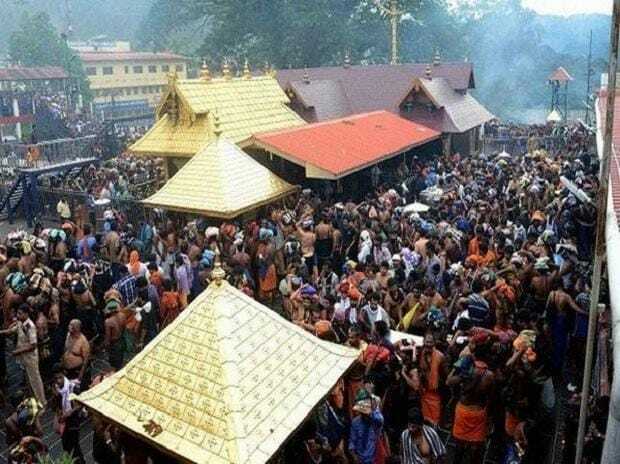 According to reports, the Kerala High Court has also directed the state government to report on police action after the violent protests erupted at Sabarimala in October.